The many Christian Heroes: Then & Now and Heroes of History books from YWAM Publishing are wonderful examples of living history books. We have several, including the entire Heroes of History for Young Readers Set. We recently added Heroes of History- Meriwether Lewis to our growing collection. Ever heard of Lewis and Clark? Yep, that’s him. He was the leading man in the first cross-country expedition of the United States of America. Along with his best friend and co-leader, William Clark, one of the greatest American adventures was had. And it was had before every advance in modern technology. 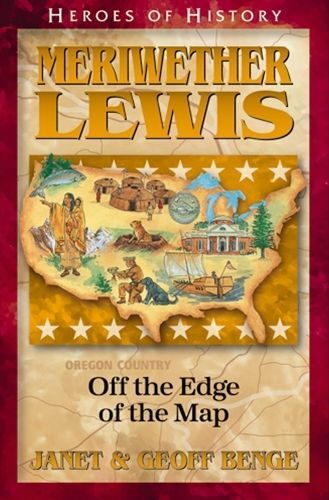 From just five years old to his mysterious death at thirty-five, Off the Edge of the Map pretty much covers Lewis’ entire life. While there is more covered in the book beyond the great adventure (like his friendship with President Jefferson and his military life), the bulk is detailing his nearly two and a half year journey. By the way, it only took them six months to return home. The majority of the time was spent trying to reach the Pacific Ocean. Each time I have the opportunity, I have enjoyed reading YWAM books. They are engaging, fascinating, and nothing short of enjoyable. I also really appreciate that while they are written to children, they are just as wonderful for an adult to read. Seriously. I read these in about two-three days. Of course, if I didn’t have a bunch of children needing me day and night, I could get it read in an afternoon. But what would be the fun in that? Lewis’ adventures are nothing short of awe-inspiring. Seriously. Just think about it. He and a handful of men, known as the Corps of Discovery trekked about 3,700 from St.Louis to the Pacific Ocean. He and his crew discovered many new Indian tribes, about 178 plant, and 122 animal species. Of course, it wasn’t without some peril that these great discoveries were made. The study guide starts with a fantastic idea for a display corner. While I love the idea . . . I have too many littles that would destroy it. Perhaps in the future, we could do something like that. There are comprehension questions for each chapter in the book. There are comprehension questions for each chapter in the book. Each chapter has four questions. Some of the answers are found directly in the book and page numbers are given for those. But others are totally subjective, necessitating some critical thinking. I appreciate that there is a good mix of both. Hands-on projects, suggested further reading and films, and map making (plus a plethora of other academic supplements)come together to make a truly multi-sensory study guide. 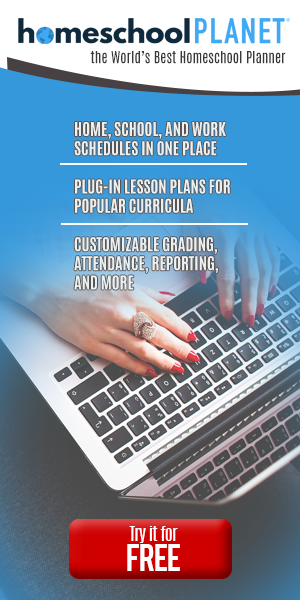 There are so many ideas to be explored in the guide that doing enough of them (along with suggested supplemental reading) could turn this into a semester-long unit study worthy of credit. During the review period, my 14-year-old daughter and I both read the book independently and then went through the study guide questions together. It was neat to have a mini book club of sorts. While we used the book and guide for just us, it would be a great co-op class. This would also make a great read aloud. I’d imagine children six and up would likely enjoy the adventure story- especially boys.